Serpent seed, dual seed or two-seedline is a controversial doctrine according to which the serpent in the Garden of Eden mated with Eve, and the offspring of their union was Cain. This belief is still held among some scholars, theologians and members of the Corpus Christendom. Unfortunately, this doctrine has been used by some adherents of the Christian Identity Movement, who claim that the Jews, as descendants of Cain, are also descended from the serpent. They have employed their twisted version of this doctrine to justify their racist and antisemitic agendas. The Holy Bible describes the fall of man in Genesis when Moses wrote, “Now the serpent [H5175] was more subtil than any beast of the field which the LORD God had made. And he said unto the woman, Yea, hath God said, Ye shall not eat of every tree of the garden? And the woman said unto the serpent, We may eat of the fruit of the trees of the garden: But of the fruit of the tree which is in the midst of the garden, God hath said, Ye shall not eat of it, neither shall ye touch it, lest ye die. And the serpent said unto the woman, Ye shall not surely die: For God doth know that in the day ye eat thereof, then your eyes shall be opened, and ye shall be as gods, knowing good and evil. And when the woman saw that the tree was good for food, and that it was pleasant to the eyes, and a tree to be desired to make one wise, she took of the fruit thereof, and did eat, and gave also unto her husband with her; and he did eat. And the eyes of them both were opened, and they knew that they were naked; and they sewed fig leaves together, and made themselves aprons. And they heard the voice of the LORD God walking in the garden in the cool of the day: and Adam and his wife hid themselves from the presence of the LORD God amongst the trees of the garden. And the LORD God called unto Adam, and said unto him, Where art thou? And he said, I heard thy voice in the garden, and I was afraid, because I was naked; and I hid myself. And he said, Who told thee that thou wast naked? Hast thou eaten of the tree, whereof I commanded thee that thou shouldest not eat? And the man said, The woman whom thou gavest to be with me, she gave me of the tree, and I did eat. And the LORD God said unto the woman, What is this that thou hast done? And the woman said, The serpent beguiled me, and I did eat. And the LORD God said unto the serpent, Because thou hast done this, thou art cursed above all cattle, and above every beast of the field; upon thy belly shalt thou go, and dust shalt thou eat all the days of thy life: And I will put enmity between thee and the woman, and between thy seed and her seed; it shall bruise thy head, and thou shalt bruise his heel. Unto the woman he said, I will greatly multiply thy sorrow and thy conception; in sorrow thou shalt bring forth children; and thy desire shall be to thy husband, and he shall rule over thee. And unto Adam he said, Because thou hast hearkened unto the voice of thy wife, and hast eaten of the tree, of which I commanded thee, saying, Thou shalt not eat of it: cursed is the ground for thy sake; in sorrow shalt thou eat of it all the days of thy life; Thorns also and thistles shall it bring forth to thee; and thou shalt eat the herb of the field; In the sweat of thy face shalt thou eat bread, till thou return unto the ground; for out of it wast thou taken: for dust thou art, and unto dust shalt thou return. And Adam called his wife’s name Eve; because she was the mother of all living. Unto Adam also and to his wife did the LORD God make coats of skins, and clothed them. And the LORD God said, Behold, the man is become as one of us, to know good and evil: and now, lest he put forth his hand, and take also of the tree of life, and eat, and live for ever: Therefore the LORD God sent him forth from the garden of Eden, to till the ground from whence he was taken. So he drove out the man; and he placed at the east of the garden of Eden Cherubims, and a flaming sword which turned every way, to keep the way of the tree of life” (Genesis 3:1-24 KJV). Here we see the familiar narrative of the fall of Adam and Eve. Satan, disguised as a serpent confronts Eve as was she is in the garden. Satan convinces her that God is holding out on her because he does not want her to be like him. 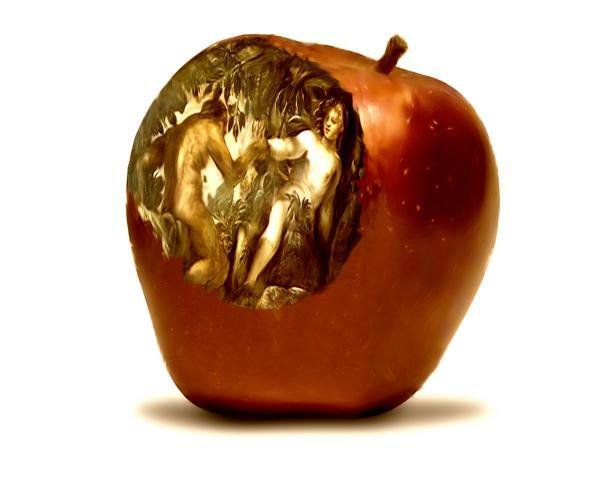 She eats the forbidden fruit and gives it to Adam. The result is a judgment from God, removal from the Garden of Eden and a fallen and depraved world. All of this came from one act of disobedience. The foundational scripture for the serpent’s seed doctrine appears in Genesis 3:15, which in the King James Version says, “And I will put enmity between thee and the woman, and between thy seed and her seed; it shall bruise thy head, and thou shalt bruise his heel.” Advocates interpret this literally to mean that an offspring of the Serpent via Eve would eventually lose in a mortal conflict with one of “her seed”. Eve’s son by Adam would have presumably been called “Adam’s seed” so it has been suggested, since a woman does not naturally produce seed, that “her seed” is the first prophesy of an eventual human messiah produced by means of a virgin birth. Adherents believe this sets up the serpent’s seed as an antitype to Yeshua Ha’Mashiach (Jesus Christ). The remainder of this article will provide a logical answer to a question I have heard many times over the years, that is, why was Eve not at all surprised that a “serpent” (nachash) was speaking to her. It will also provide a starting point for critical examination of the Scriptures, hopefully inspiring the reader to think more deeply about alternate interpretations to passages of Scripture in the Holy Bible. As with prophecy and parables, sometimes a passage of Scripture may have dual or even multiple interpretations. I make no claim that what this article will present is the biblically correct interpretation as extra-biblical texts were referenced to illustrate and draw these conclusions. Nonetheless, the conclusions and interpretations do provide an interesting alternative aspect to Scriptures that many readers may have never considered. In the third chapter of the Book of Genesis, the word used for “serpent” [H5175] is “nachash” in the original Hebrew manuscripts. Nachash means the “shining one” or “glistening one.” The root word (etymology) for “nachash” is also “nachash” [H5172] which means “to hiss or whisper” and specially used as the “whispering of soothsayers. Lucifer is a title ascribed to a chief fallen spiritual being in Isaiah chapter 14. Used in a modern context as a proper name for Satan though the title is neither a name nor describes Satan. Most applicably applied to a fallen Watcher, the Hebrew title is literally “heylel:, literally ” to shine or boast”. Eve was not talking to a snake. She was speaking to a bright, shining, upright being who was serpentine in appearance, and who was trying to bewitch her with lies. 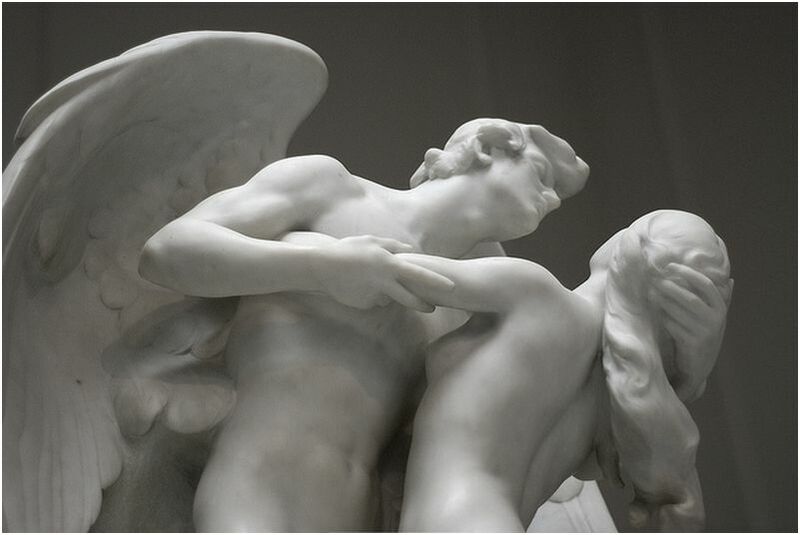 She was in the presence of one of the sons of God [B’nai Elohim], a created angelic beings who had free will, who were much more powerful than mere angels. She was speaking to a member of the divine council who did not share God’s enthusiasm for His new creation, mankind, to whom He had just given rule over the planet (Genesis 1:26-27). Many scholars and theologians believe that the Nachash’s motive for seducing Eve was jealousy at humanity’s appointment as supreme authority under God on earth, as opposed to the sons of God being appointed to that role on Earth. It is clear that Samael, who also happens to be the Yeitzer Hara, Satan, The Angel of Death (Malach Ha’Mavet) and the Guardian Angel of Esau, is, according to this extraordinary Midrash, the true father of Cain the murderer, the first “naturally born” human being. Before Adam was created, a natural rival to Adam existed, capable of challenging him for supremacy. That being was apparently capable of speech, and was cunning and passionate, to the extent that it identified itself as a replacement for Adam. That creature was the Nachash Kadmoni — “Primordial Snake.” This view is evidenced by the Gemara (Sotah 9:) which describes the “original snake” as:King of the animals…walking erect on two feet…eating the same food as man…and plotting to kill Adam, so that it could marry Eve. certain specific areas. In order to compete in these limited areas, Hashem endowed it with qualities of greatness, as man obviously would not be challenged by a creature whose stature is far below his. Hence it was imperative that the snake possess great attributes.As a creature, however, it only approached, but it did not really rival Adam. It was endowed with limited greatness in order to serve as a test for Man. Man failed this test. the “genome” of mankind (see Shabbos 146; see Rashi (ibid. )).